In this sequel to his book, "The Optics of Rays, Wavefronts, and Caustics," Stavroudis not only covers his own research results, but also includes more recent developments. The book is divided into three parts, starting with basic mathematical concepts that are further applied in the book. 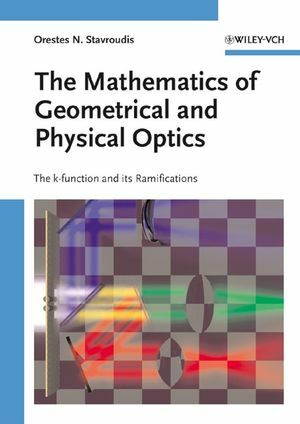 Surface geometry is treated with classical mathematics, while the second part covers the k-function, discussing and solving the eikonal equation as well as Maxwell equations in this context. A final part on applications consists of conclusions drawn or developed in the first two parts of the book, discussing such topics as the Cartesian oval, the modern Schiefspiegler, Huygen's principle, and Maxwell's model of Gauss' perfect lens. O. N. Stavroudis has researched and lectured in the area of the mathematics of geometrical and physical optics and their application for 50 years. He is Professor Emeritus at the Optical Sciences Center, University of Arizona, Tucson, USA, and currently works as an Investigador Titular at the Centro de Investigaciones en Optics, Leon, Guanajuato, Mexico. His research field covers differential geometry of wavefronts, k-function and Maxwell equations, wildly off-axis telescopes, generalized ray tracing and modular optical design. He published numerous reviews and contributions for books, and authored several monographs.